Charlotte R. Young, forever a Cornhusker fan, age 77, passed away Tuesday, January 22, 2019, in Wichita, Kansas. Charlotte was born on June 21, 1941, in Norfolk, Nebraska, to William and Elaine (Baker) Keeney. Charlotte married Larry Young on June 21, 1960, in Fremont, Nebraska. They were blessed with four children. She was a former employee of Hammond Stephens in Fremont, Nebraska. After her retirement, she moved to Wichita, Kansas, to be near her children. 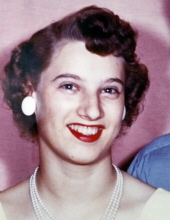 She is preceded in death by her father, William Keeney; mother, Elaine Luther; a very special stepfather Edward Luther; Husband Larry Young; Son Dan Young. She is survived by her children, Connie (Greg) Evans, Diane Young and Chris Young, all of Wichita, Kansas; two Grandchildren, Eric McBeth of Wichita, Kansas and Tyler (Ashton) McBeth of Fremont; Great-Grandson Krew McBeth of Fremont; Brothers Bill Luther of Laramie, Wyoming, Gary (Marilyn) Luther of Loveland, Colorado; Sister Deb (Harold) Schafer of Nickerson, Nebraska; and sister-in-law, Lorraine Schwanke of Fremont, Nebraska. A private family celebration of life will be held on Saturday, February 9, 2019, at Dugan Funeral Chapel. To send flowers or a remembrance gift to the family of Charlotte Rae Young, please visit our Tribute Store. "Email Address" would like to share the life celebration of Charlotte Rae Young. Click on the "link" to go to share a favorite memory or leave a condolence message for the family.